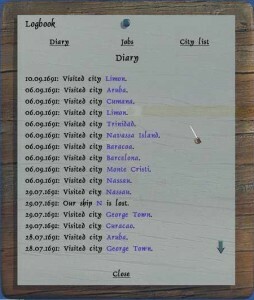 When you press Logs/Cities you get the Diary where you can see some of your last actions. It shows what cities you visit. It shows if you lost a ship. And it shows the sword fights you had. you get a job description at the bottom of the window. 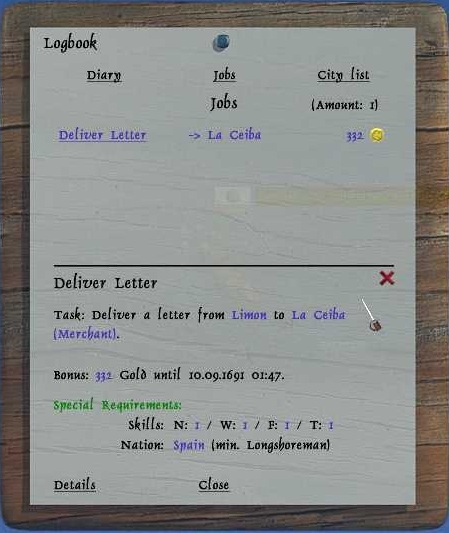 By pressing the red X at the job you can delete a job if you do not desire to complete it. 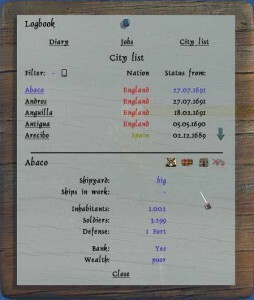 You can press the City list to get a list of all the cities you discovered. There is a filter at the top where you can type in a letter to more easily find the city in the list you are looking for. 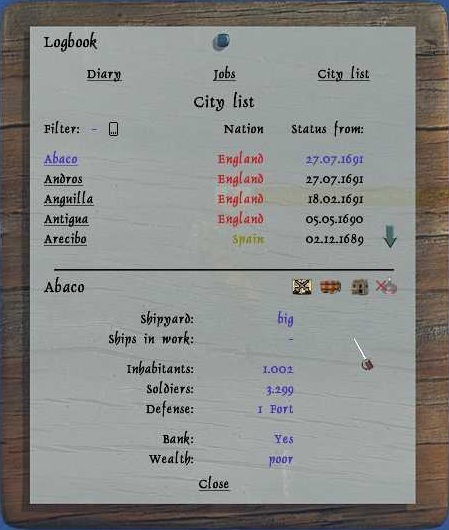 When you press a city, you get the city info at bottom of the window. Here you can press the crossed swords to get info if you own the city. The barrels shows you what goods and prices the city had last you visit it. The little house shows consumption and production. a little green arrow will point to the buoy.